Industry 4.0 refers to the digitization of the manufacturing industry. But let’s check first on why 4.0 and what happend so far in terms of industrial (r)evolutions. The first industrial revolution was about 1740-1860 and focused on the mechanization of simple recurring tasks, e.g. weaving. It has also been the birth of industries like coal, iron, textiles, railroads, oil and gas. The second revolution was about mass production and was mainly boosted by the public availability of electricity starting in 1870s. The third industrial revolution in which we are nowadays auguments mass production processes through robotics and computer technologies using. The fourth industrial revolution is praying a CPS (Cypher Physical System) approach where computation, networking and physical systems function as one unit with constant feedback loops. This means the physical process of building is constantly monitored and controlled by computers and data networks. Industry 4.0 is a German invention. It has been around 2010 when the German Ministry of Education started a project for identifying which digital technologies could revolutionize the industrial manufacturing. A working group of experts around Henning Kagermann and Siegfried Dais was built which presented it’s results at Hannover Fair. The main finding was that the Internet can be used very beneficially in the context of manufacturing which is currently not the case. Giving more power to machines and allow them to act in a real life context by thinking independently was something unheard before. Not only that it could boost efficiency in factories by making them completely autonomous but technology can help to transit to a whole new industrial approach, the pull or outcome economy. There are 4 main principles of Industry 4.0 which can help smart factories as a guideline in which fields they can evolve. Interoperability: Communication of smart things like devices and sensors with other smart things and people. Transparency: Creating a digital twin of the physical world. Assistence: Systems to support humans with aggregated information. Decentral: Systems can make decisions completely autonomous. Detractors criticize that the so called fourth industrial revolution is called out before it is there which hasn’t been the case for the previous three revolutions so far. Also some only speak about a second phase of digitization as the third revolution already makes use of digital systems in production environments. That being said Industry 4.0 and IoT might not be a revolution in itself but more of a evolution in the already existing 3rd stage. 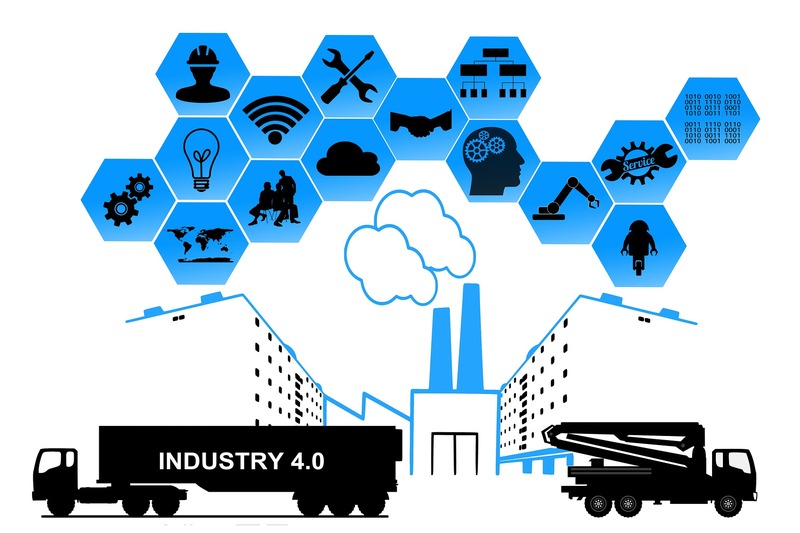 However although the term Industry 4.0 is still vague for many, the majority has the common understanding that this will be a very significant impact for the manufacturing industry as we know it. What do you think? Is Industry 4.0 just a buzzword or truly a game changer?